I can swim on my back but I cannot swim on my front. I am 64 years old and have just recently conquered my fear of the pool. I can now float on my back and do a basic swim, but I'm too frightened too even lift my feet when facing forward. I tense up and panic. First of all, congratulations on conquering your fear of the pool. You are proof that it can be done and that age means nothing when it comes to learning to swim! Learning to swim on your back is a fine achievement but the time has come to learn to swim on your front and there are a few possible reasons why you tense up and panic when facing forward. I suspect it is mainly down to getting your face wet and potentially submerging and not being able to regain a standing position, or a combination of all of these factors. Firstly, keep one thing in mind here. You have discovered that your body has some buoyancy and that you are able to float. That does not change when your body is in a prone (face down) position, although your feet are more inclined to sink when you are in a prone position but face up. The first hurdle to overcome is holding your breath and submerging your face. You can practice this with your feet firmly on the pool floor until you get used to it and move on to submerging your face with a swim woggle under your arms and your feet off the pool floor when your feel more confident. a much clearer perception of where you are and what you are doing. For more details and easy step-by-step guidelines for learning how to submerge, click here. Submerging with your feet up off the pool floor is a completely different sensation to submerging when standing on the pool floor. The pool floor gives a feeling of security and this is where having the confidence to practice standing from a prone position is vital. Start once again with a swim woggle under your arms to give your some extra confidence, so that you can get used to the arm and legs movements that are needed for standing up mid swim. For more details and a clear diagram of how to stand up mid swim, click here. Once you have become comfortable with submerging and learning how to stand up from prone, you can try it without any floatation aids. Keep in mind that your body position will be slightly lower in the water and your legs will be lower when you are in a prone but face out of the water position. By this stage you will be more confident with floating in a prone position and then regaining a standing position again. This will then hopefully lead to lifting your feet and swimming in a forward position with much less panic! Comments for I Cannot Swim On My Front! I posted a comment saying I couldn't swim on my front. Well you gave me some good tips, I have persevered and with support from a few good friends I have succeeded and I'm improving each time I get in the pool.So at the age of 64 I can now proudly say I can swim I'm totally hooked and feel so fit. 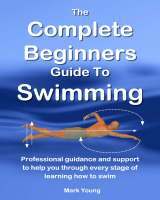 My tip for anyone of any age wanting to try learning to swim,just go for it and don't give up easily, it can take a while but the benefits are numerous.